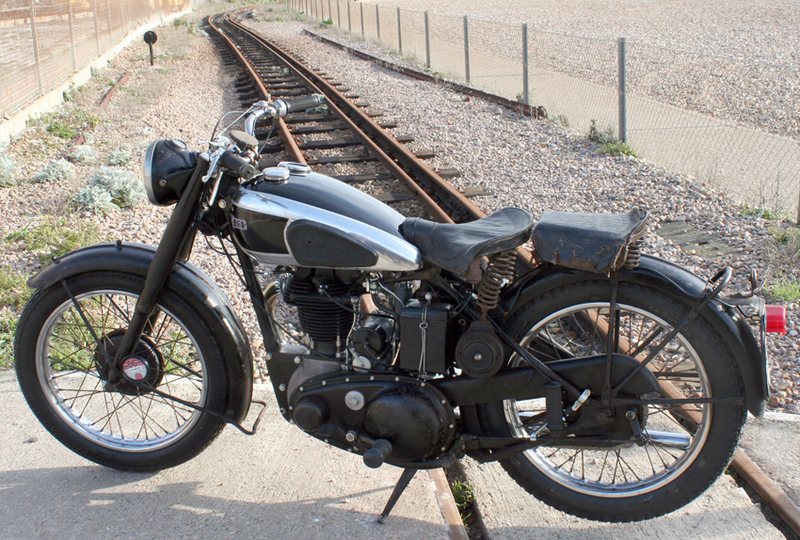 Though this is essentially a bicycle website, this machine is a rare 1945 BSA and was my daily rider in 2010. 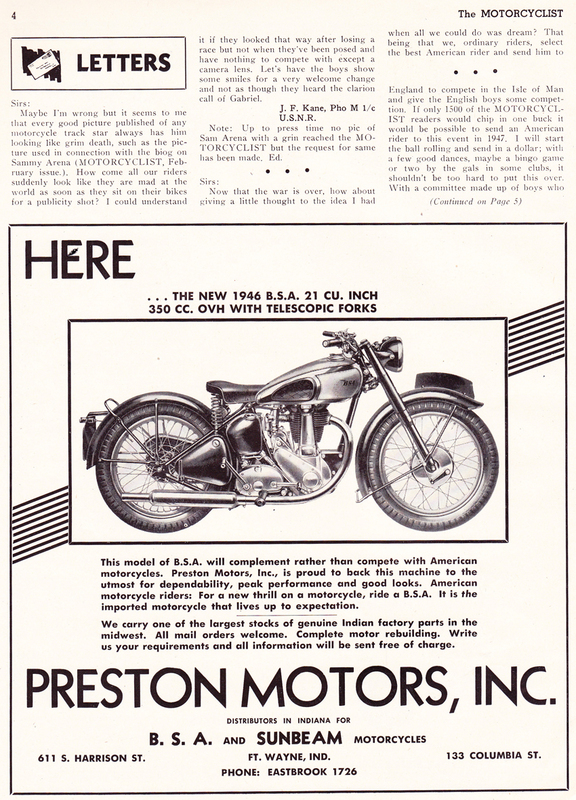 A few pages about BSA’s motorcycle production provides additional background to the company’s wartime history. What I like about this first model is that it’s very different from other B31’s. It’s more lightweight than subsequent models, and sits lower to the ground. 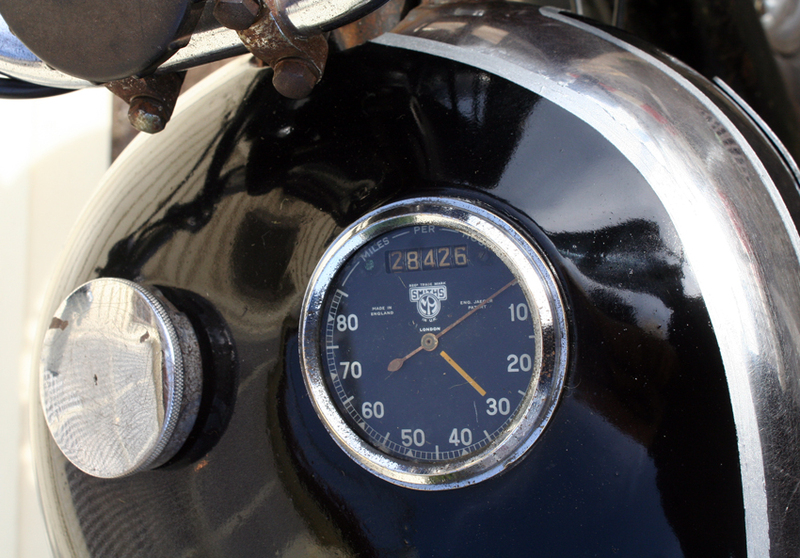 The speedo is in the tank. 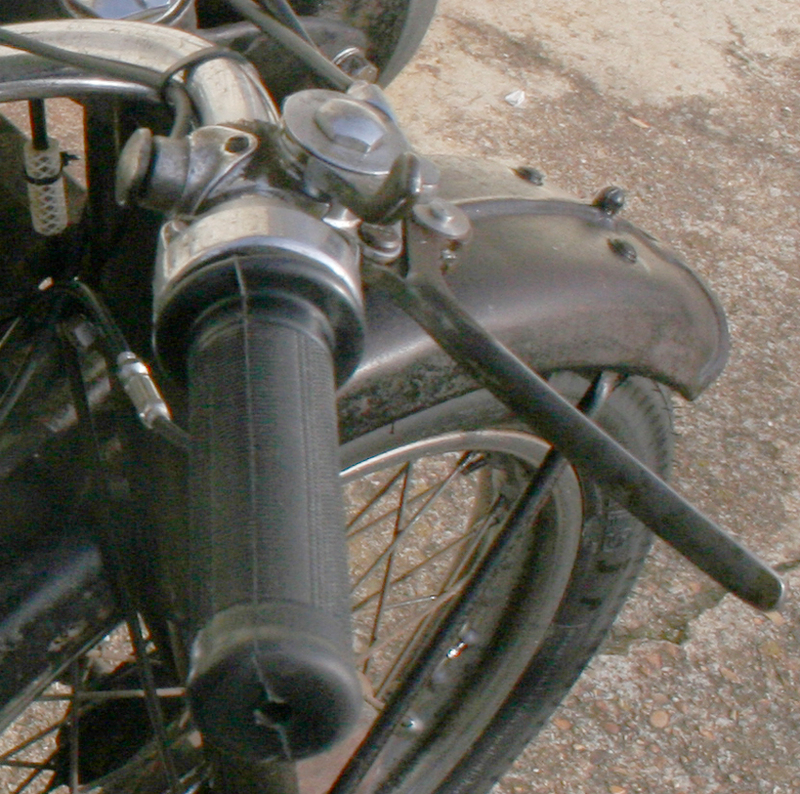 It also has some special wartime features such as different levers and front forks without a drain plug. 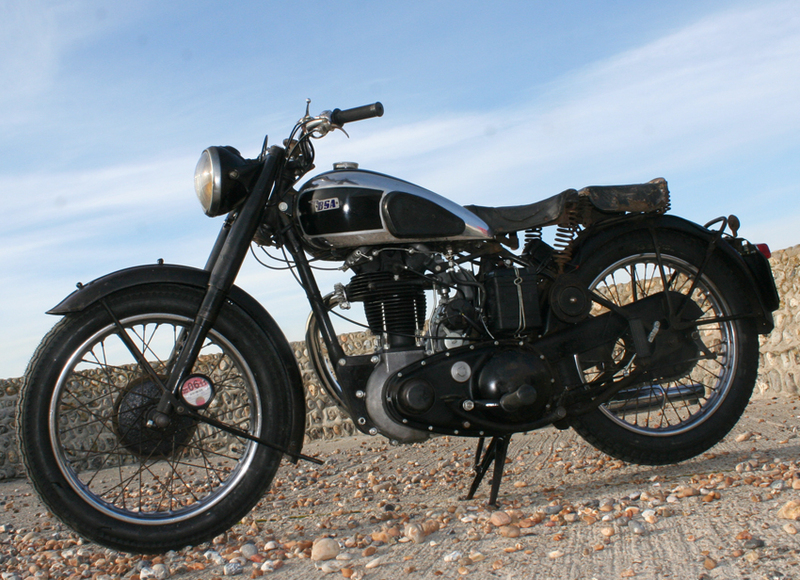 The BSA B31 was designed before the end of WW2 and introduced as soon as the war finished, so it’s also a BSA of historical significance. 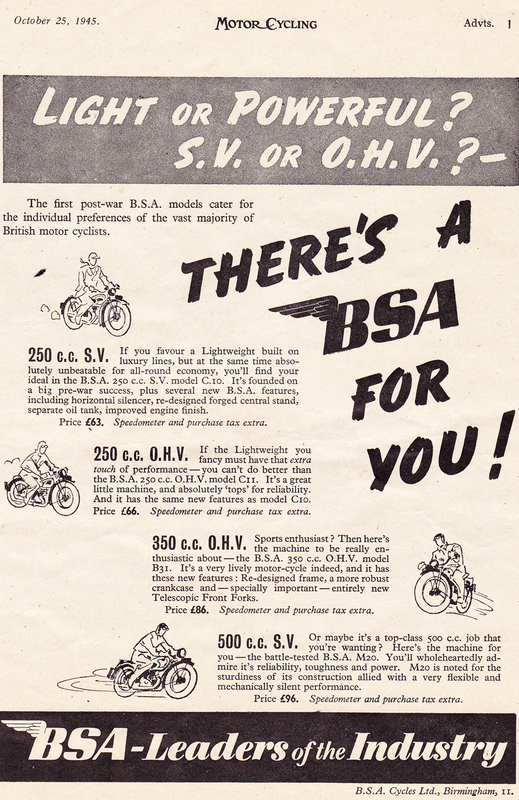 In both world wars, BSA totally mobilized for war production. But, though all essential industry was nationalized in such circumstances, these private companies also had to plan their postwar strategies. 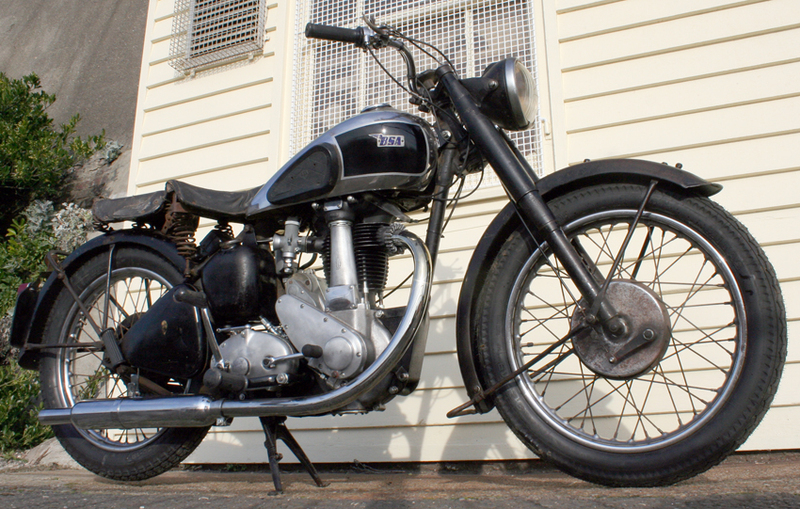 From 1944, in a small building in Redditch, unobserved by the Ministry men at Small Heath, BSA developed the machines that would make their debut when peace was declared. 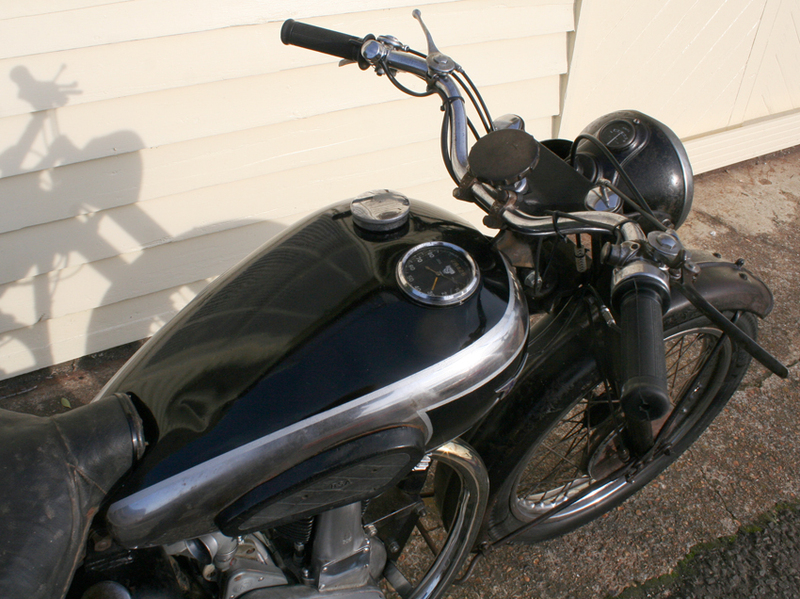 The B31 was based on the B29 Silver Sports which had been introduced in 1940. 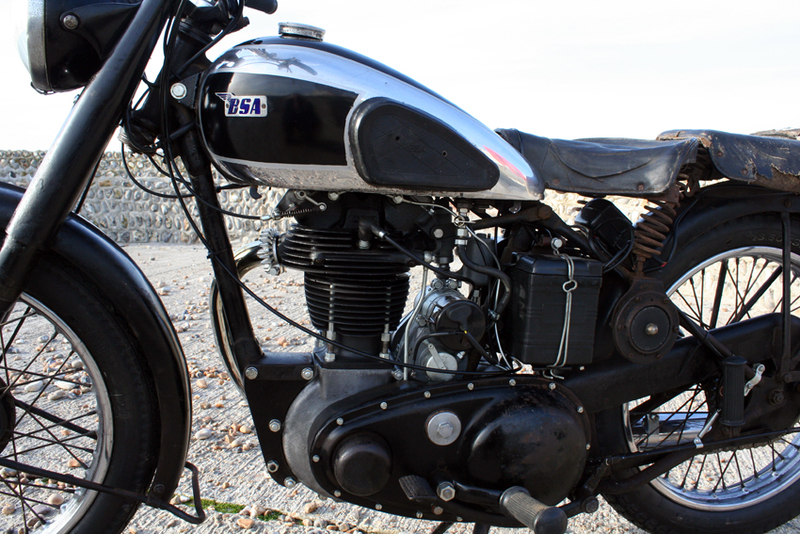 Only a few of these had been sold before the company turned to war production, and the B29 was subsequently modified to become the B30, a prototype 350cc light military motorcycle. Trials of this new military machine were satisfactory, but unfortunately the War Office decided they already had enough military models and should keep the range as simple as possible. So the militasry B30 never went into production. 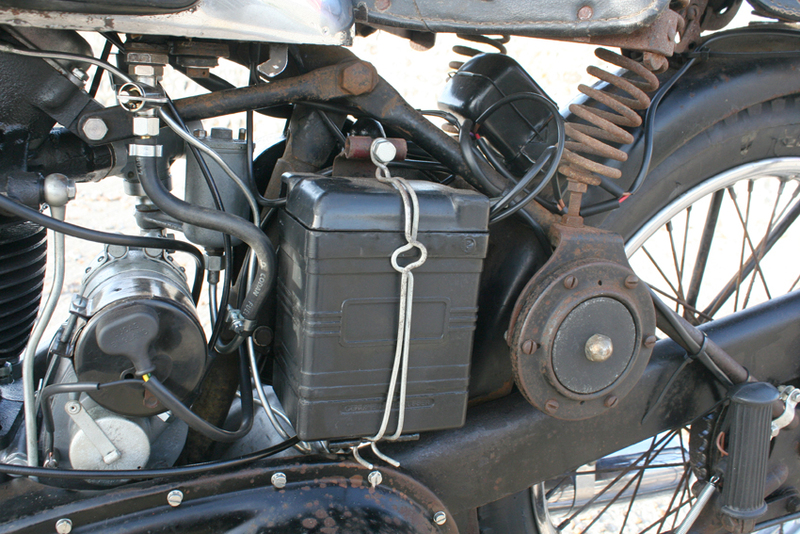 There were two main differences between the B29/B30 and the B31. 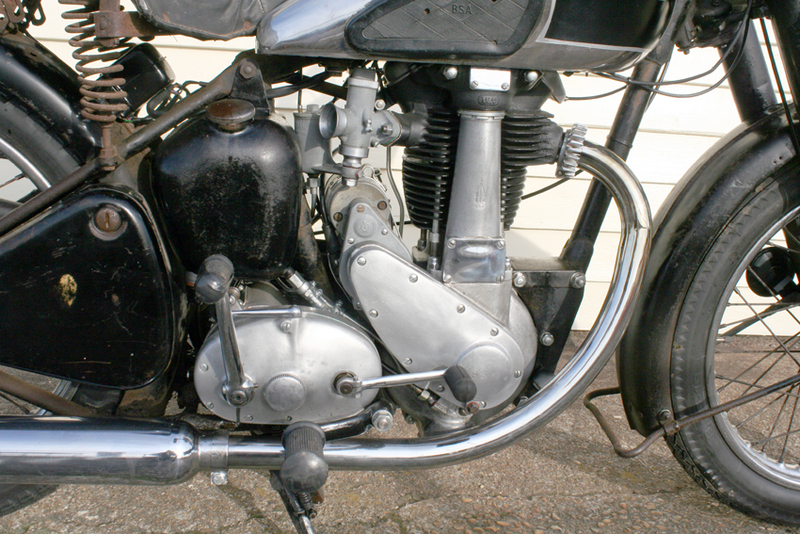 The major change was the telescopic front forks that replaced the girder forks of prewar models. 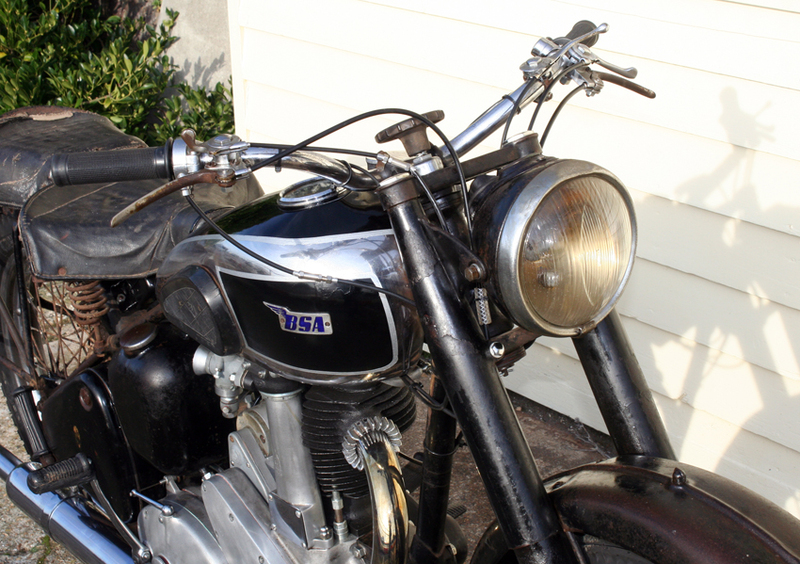 Also, Edward Turner had joined BSA as a designer, and he introduced oil valve springs; the previous hairpin valve springs took more room without increased performance. 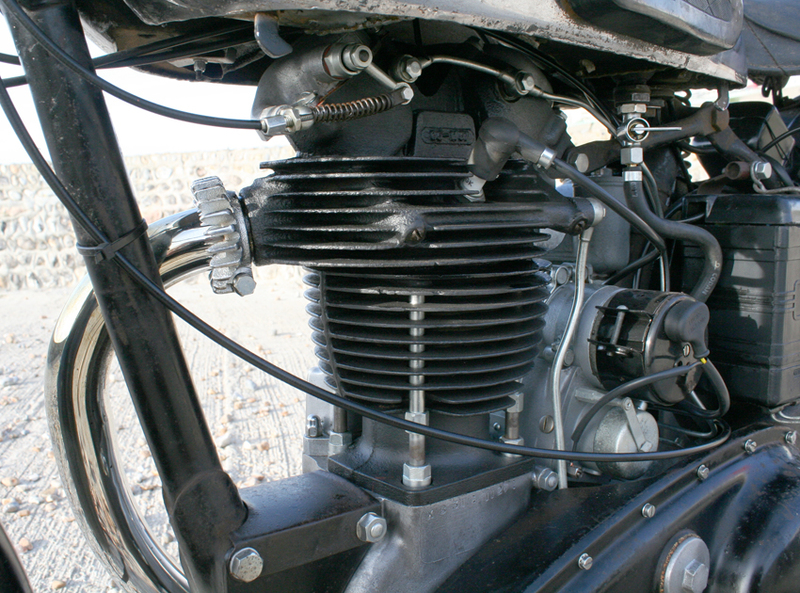 The B31 had a stronger and more substantial crankcase than BSA’s successful prewar 350cc ohv, the Empire Star. 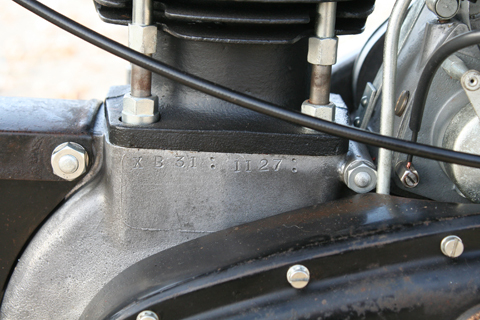 The semi-cradle frame was also stronger, even though it was smaller than that fitted to the M20. 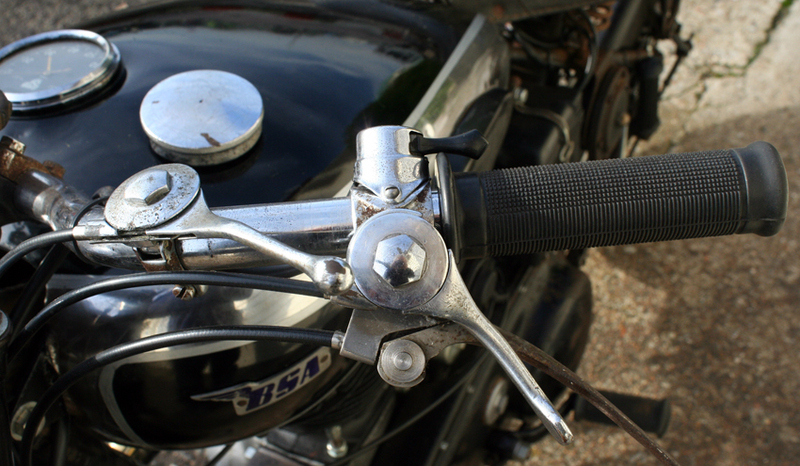 There were no sidecar lugs, as the M20 and M21 were designated as BSA’s sidecar models. The M20 was available immediately after the war, but the B31, along with the new C10 and C11, only became available in September and October 1945. However, nearly all were for export only. With a huge national debt to repay, very few new vehicles could be purchased in Great Britain. SUMMARY: This B31 is in excellent all-round condition, with most of the cosmetics unrestored. 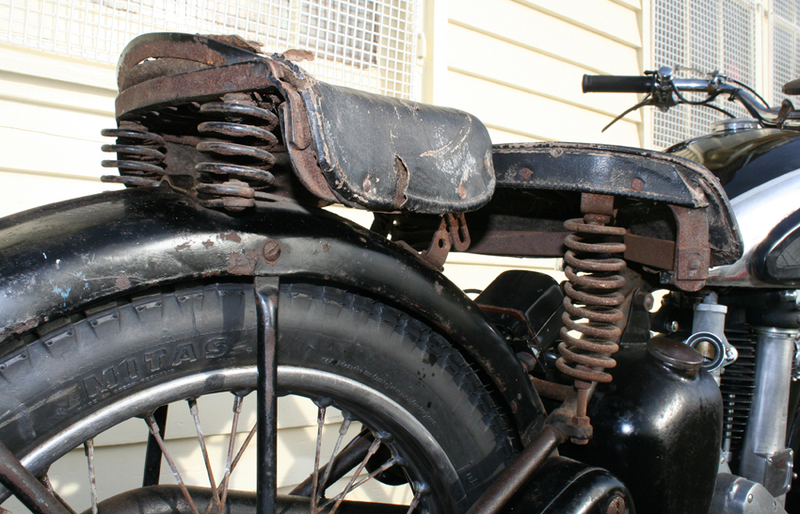 When I bought it, it had been mechanically restored. However, previous ‘restorations’ are never good enough for my mechanic, and he went through everything so it met his high professional standard. 1. It wet sumps. You can buy a kit to deal with this, though I just drain the oil if it’s been standing and recycle it. 2. 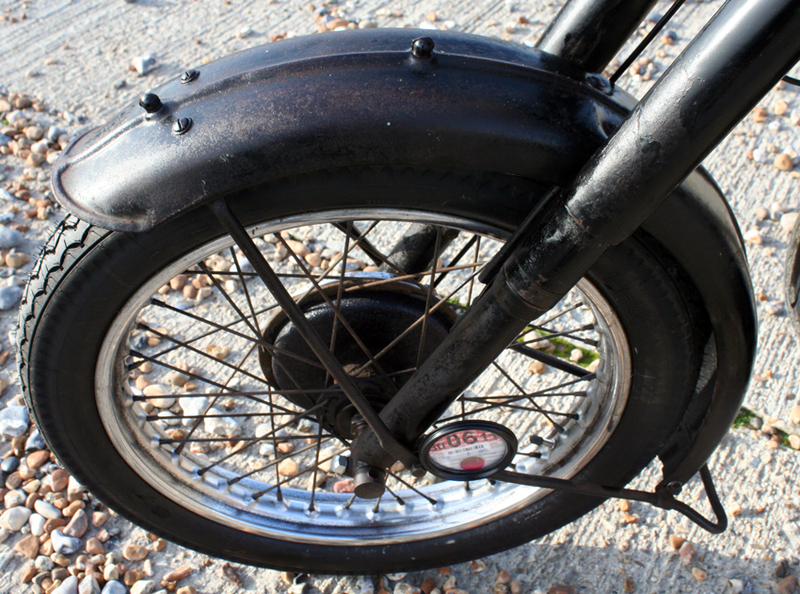 The kickstart rubber was sliding off the chrome kickstart; my mechanic has araldited it on. It still had tape on it in these photos to keep it in place while the glue dried. 3. 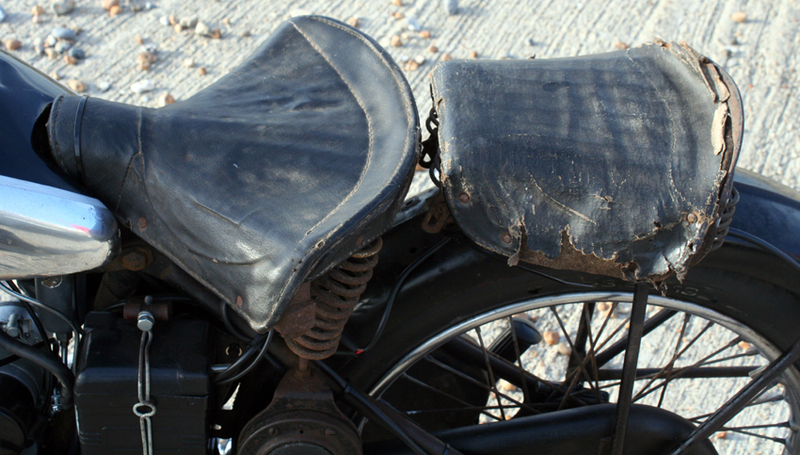 The rear light is a later unit. I intended replacing it with a correct early one. 4. 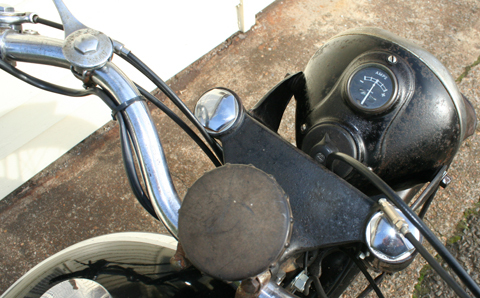 The decompressor lever works fine, but is not the correct one; likewise the throttle. But it’s not hard to find correct items. 5. It has no speedo cable, but I recently ordered one from Draganfly, so that will go with the bike. 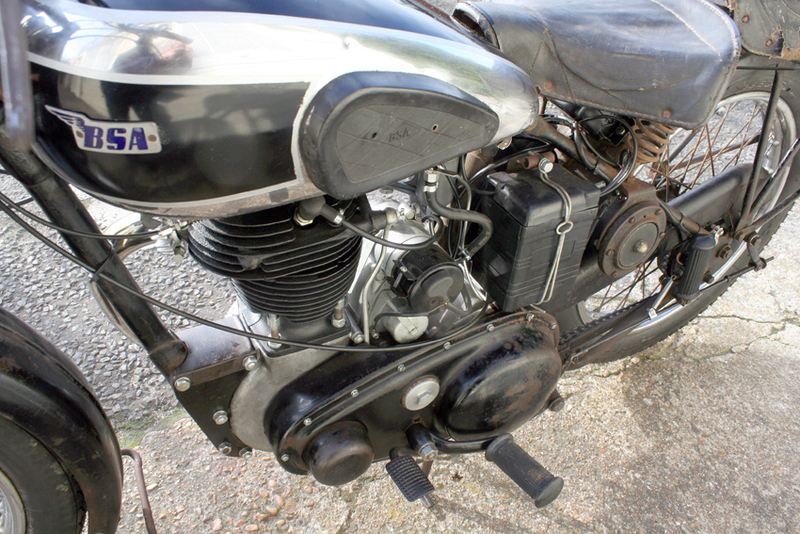 The petrol tank has various minor dings and dents, as you’d expect, and the chrome is pitted here and there. 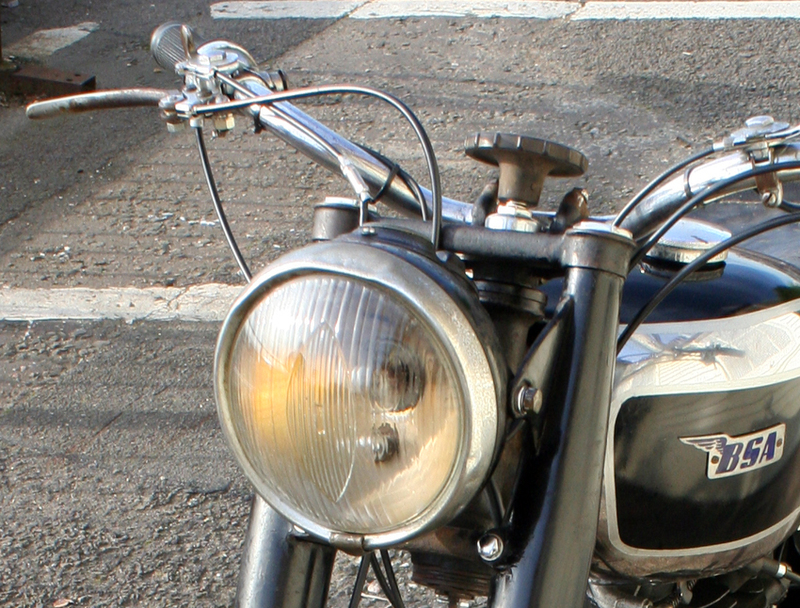 Of course, this is not a concours bike. 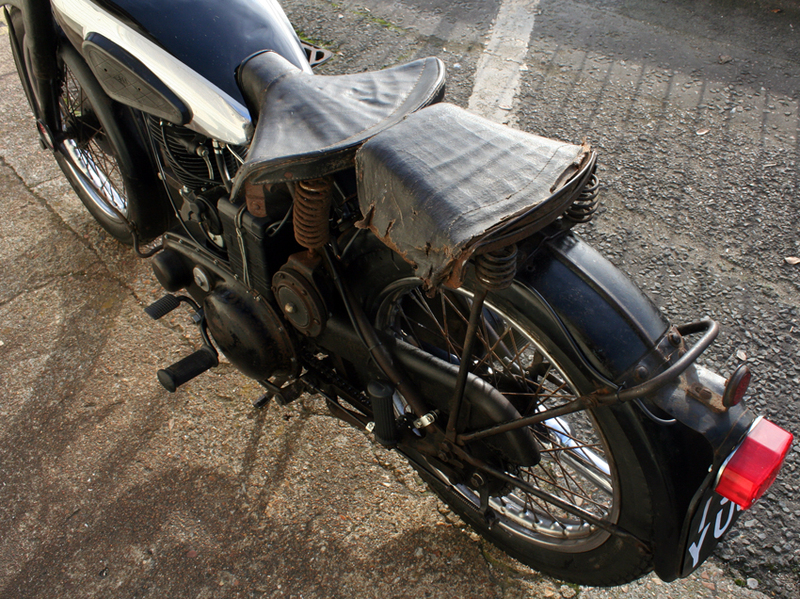 Apart from the tank, which has been resprayed, all the metalwork is in excellent original unrestored ‘oily rag’ condition. To my eye, it looks fabulous like this. 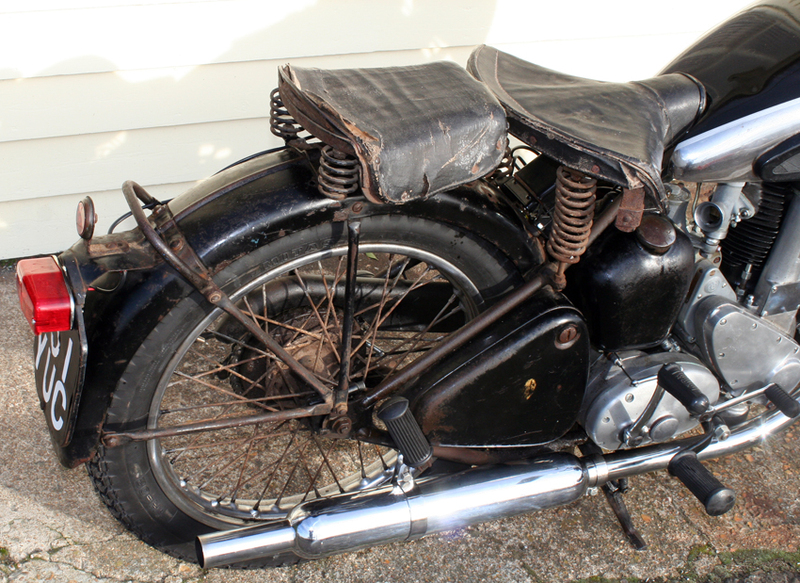 It’s increasingly difficult to find ‘unmolested’ motorcycles: what’s the point in paying for someone else’s restoration work if your standards are high and therefore have to restore it all over again? 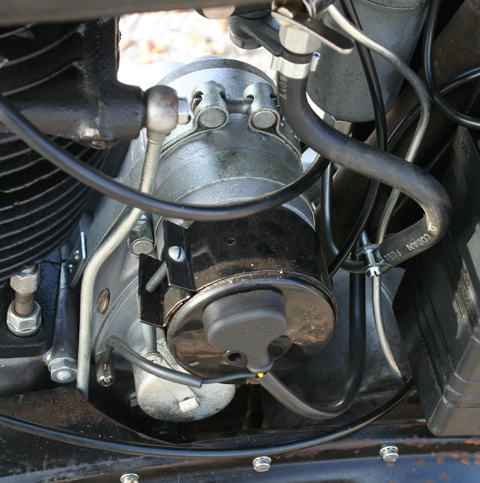 The engine was totally rebuilt; the magdyno has been done too; clutch and gearbox are good, with all gears changing well; new regulator box & good electrics; the silencer is a new M21 one sleeved onto a B31 front pipe; brakes renewed but front brake needs bedding in; wheels in good condition; new tyres; original handlebars with genuine (rare) wartime levers. I’ve been riding it. It runs very well. So it’s totally ready to jump on and use. 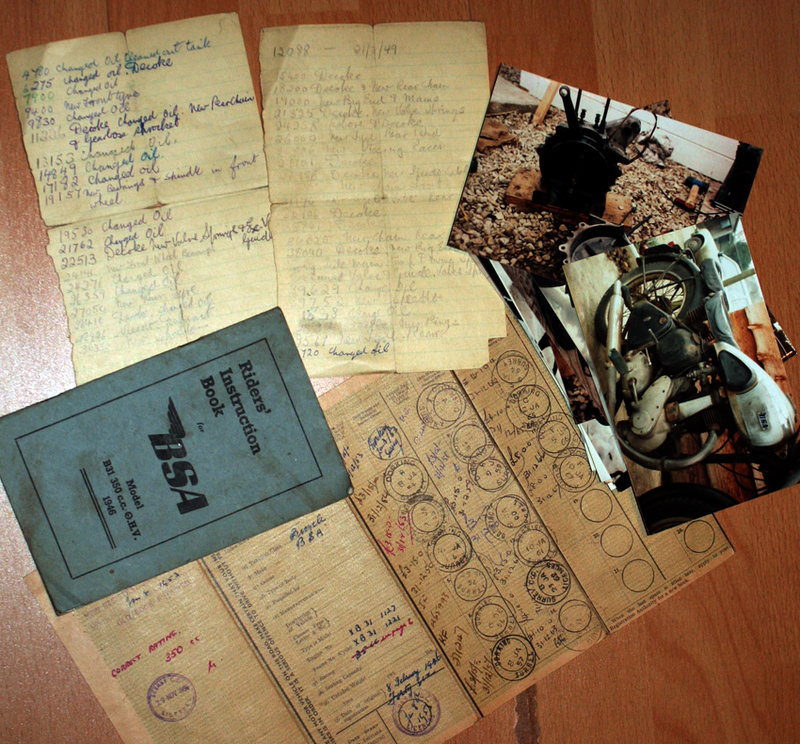 The old logbook dates from 1953, showing the owner, a Mr. Spink of Dorking. 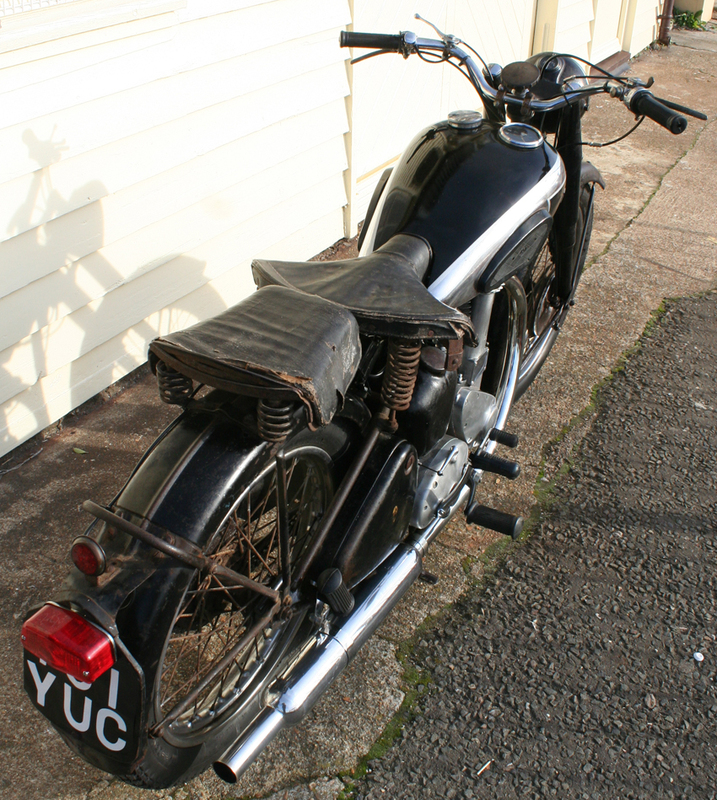 The previous owner (to me) bought it from Mr. Spink two years ago, restored it, MOT’d it, and registered it at DVLA in 2009. 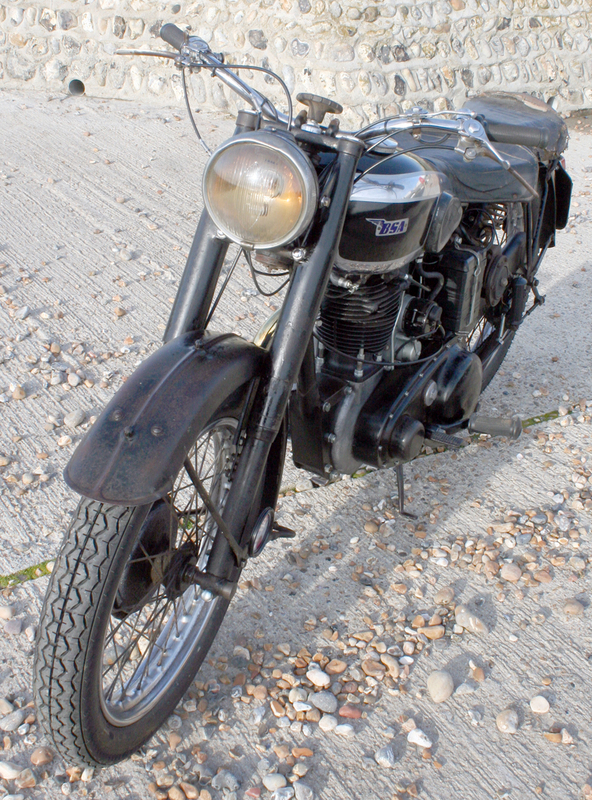 According to the BSA Owners Club, it was manufactured in 1945; supplied to Millars Motors, of Mitcham, Surrey, on 28th January 1946; and first registered by Surrey County Council on 8th. February 1946. 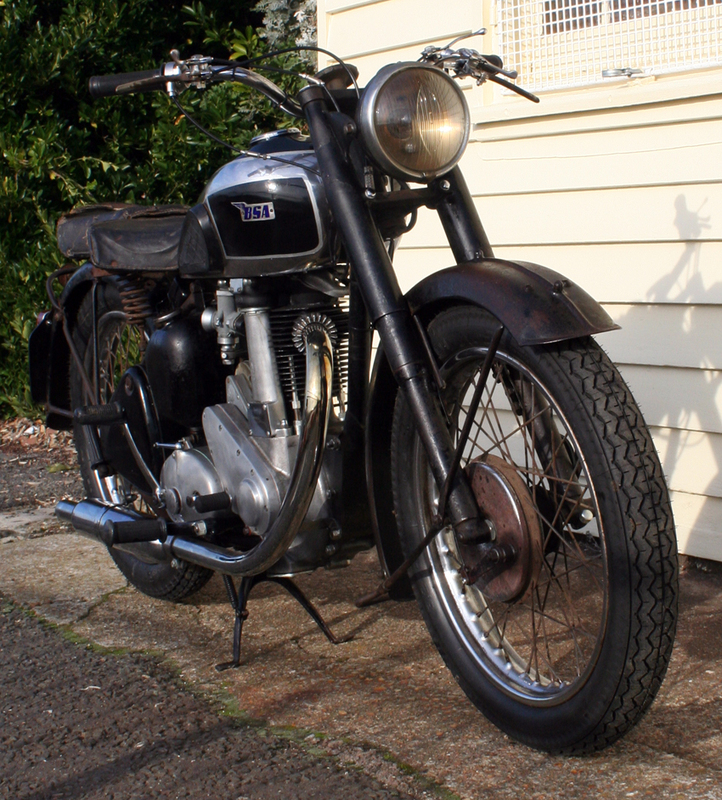 An original 1946 B31 Handbook is included, as well as various road tests and articles on B31’s. Also, plenty of restoration photos, and two old letters (below) showing work done to it since 1949. I believe special dispensation was required to buy a new vehicle after WW2. With the vast majority sold for export and none available for the home market, if you were for some reason able to buy one new, you could obviously make a good profit re-selling it. I’m not absolutely sure why the purchase of this one was allowed, but I believe the first owner was an government official.